Heather is the practice manager at McEntire Dental. She started her dental career in Sliverton, OR as a dental assistant over 32 years ago and loves what she does. She was born in California and raised there, Washington and Oregon too. Heather and her husband have five children and 2 grandchildren. In her spare time she enjoys working on her house, spending time with her family, and seeing her grandchildren as much as possible. Heather believes in the great team that has been put together at McEntire Dental and looks forward to helping the practice grow. My name is Andrea and I have lived in Pendleton most of my life. I am married and together we have four girls. We keep very busy with their activities. In my spare time, I enjoy the company of my family and friends, road trips and yoga. I graduated with honors at Blue mountain Community College in 2006. I have been an expanded functions dental assistant for eleven years. I have front office experience as well as back office experience ranging from general dentistry, orthodontics and oral surgery. Working for Mcentire Dental is the perfect place for me; I am able to grow and continue learning as well as use my skills to put our patients at ease and make sure they are getting the very best treatment. Hello! I'm Carley. I was raised in Pendleton, Oregon. I graduated from Pendleton High School in 2004. I grew up in a large family. I have five brothers, and yes I'm the only girl. My husband also grew up in Pendleton. He and I are expecting our first child in December 2017. We enjoy camping, four-wheeling, taking vacations to the Oregon Coast and spending time with family and friends. I attended Blue Mountain Community College and completed my AAOT in 2010. I was accepted into the Dental Hygiene Program at Oregon Institute of Technology and graduated in 2012. I attended another year doing an online program to complete my Bachelor's of Science in Dental Hygiene. After I graduated I had the opportunity to come back and work right here in my hometown. I've been very blessed with this opportunity and enjoy serving within my community. Always interested in a health-related career, Keri started in dentistry as a dental assistant in 2003. Realizing her joy in helping others through the dental profession, she furthered her education at Apollo College in Boise, Idaho and became a dental hygienist in 2007. The most important aspect of her job is educating patients not only on dental care, but maintaining overall health. Keri's free time is spent with her husband and their two beautiful daughters. Their family is active in church, enjoys the outdoors, sports and family time. Keri values her faith and family. Hello, I am Chaneux. I grew up in Eastern Washington and I have lived in Eastern Oregon for the past 20 years. My family enjoys all the camping, hunting, fishing and boating activities that Eastern Oregon provides. My husband and I chose to raise our children here in Pendleton. They have been involved in many of the sports and music programs offered in Pendleton. I attended Columbia Basin Community College, then transferred to Eastern Washington University. Eastern Washington is where I received my Bachelor of Science degree in Dental Hygiene. I have always loved working in the dental field. During High School and my first few years of college I worked as a Dental Assistant. Upon receiving my degree in Dental Hygiene I started practicing as a Hygienist and have worked as a Hygienist for 24 years. Hey there, my name is Shalena. I was born and raised in the beautiful state of Oregon. I am so grateful to now be raising my own family here as well. I have a wonderful husband, two amazing sons and one little girl who keeps us all on our toes! We all enjoy being in the outdoors, spending time with friends and family and seeing new places. I graduated with honors from Pilot Rock High School in 2001 and went on to attend 2 years at Blue Mountain Community College here in Pendleton. I graduated with honors from the dental assisting program in 2003, earning my CDA and my EFDA certifications. I also have my certifications in Orthodontics and sedation dentistry and look forward to expanding my education even further. I have been working in the dental field for almost 15 years now and I absolutely love what I do. There is nothing better than seeing people love their smiles and knowing I had a part in it. 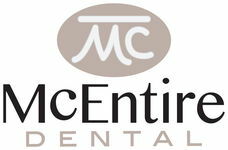 Working for McEntire Dental has allowed me to continue to do what I enjoy and has also given me the chance to grow in my field, learning new and exciting parts of dentistry! Dr. McEntire and his staff are truly some of the best, and I am very happy to be a part of the team. I'm Sam. I have been a dental assistant for 6 years and have enjoyed every minute of it. I graduated with honors from the dental assisting program at BMCC. I moved to Oregon when I was 14 from Southern California and I now live in Pendleton with my boyfriend, Marc and our dog Maggie. I love being an assistant and being able to visit with our patients and make them feel comfortable in our office. Working for McEntire Dental has allowed me to grow in my field. I'm so happy to be learning new parts of dentistry and to be able to gain more experience.